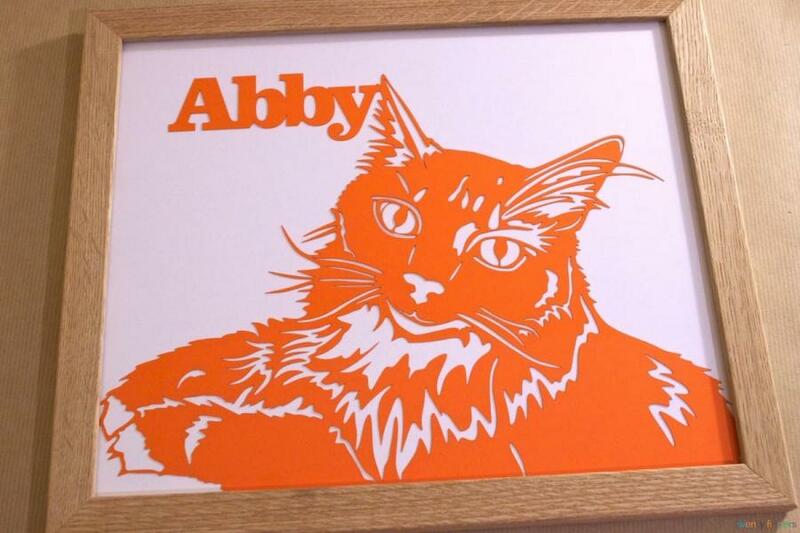 Pet Portrait Papercut in a Traditional Frame. 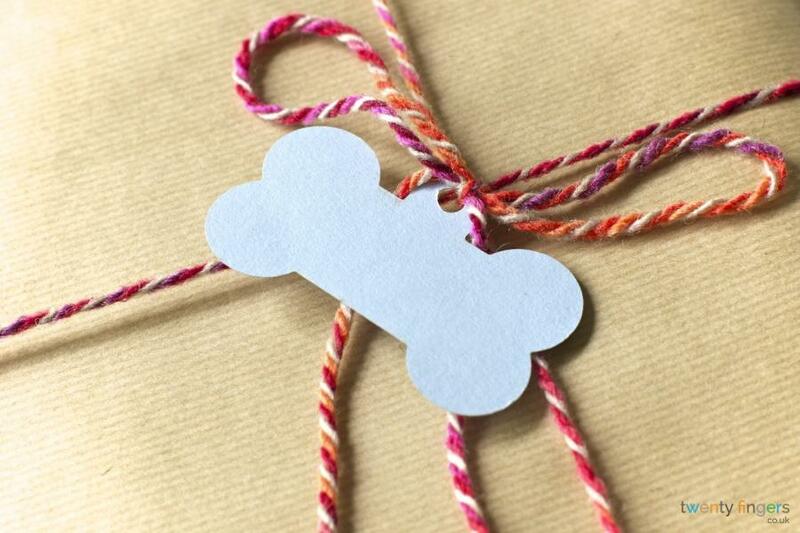 Beautiful gift for pet lovers. They are considered man’s best friend and even when they chew up our favourite pair of shoes, we love them like our own children. We tend to have a great deal of pictures hanging in every room of our home that celebrate the love and compassion that we have for our family, but for many people, those pictures leave out our most loyal family member. Dogs are there for us when people get offended and abandon us. They love us no matter what the circumstance and no matter how they are feeling. We acquire a pet, usually, for our children or as a companion for a lonely family member. Taking care of another life seems to give our lives meaning. Our pets hold a special place in our hearts and therefore should hold an equally special place on our walls or bedside table. We offer a Pet Portrait Papercut that will immortalise your best friend and also be a great conversation piece for your guests. 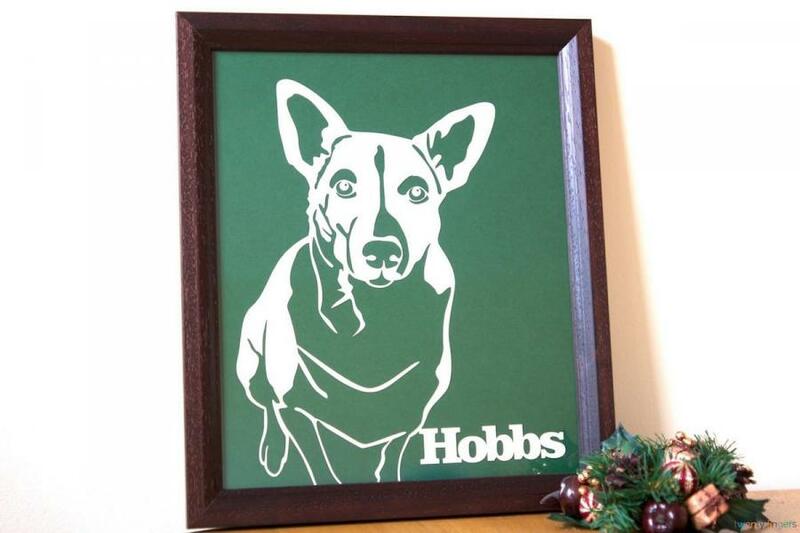 People will marvel at the handcrafted image of your beloved pet. 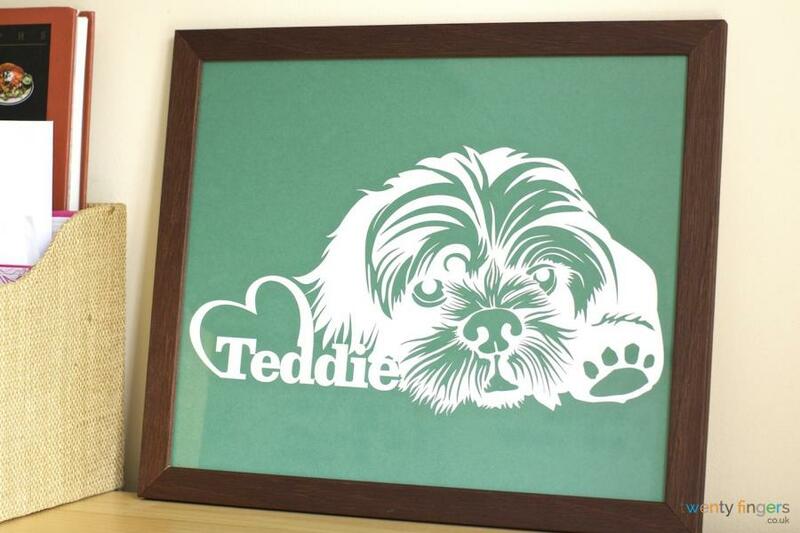 The Pet Portrait Papercut makes a great gift for any dog or cat lover and for any occasion. 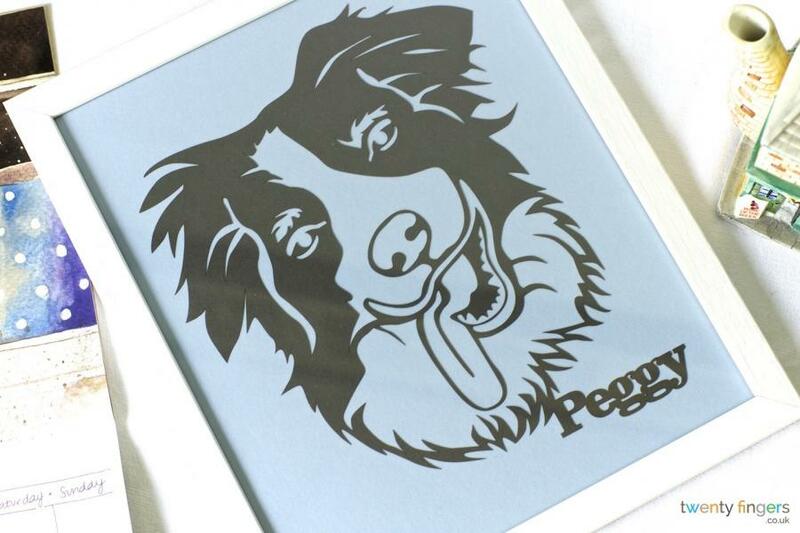 Not One Alike – Due to the uniqueness of your pet your papercut will not be exactly like any other we have made. 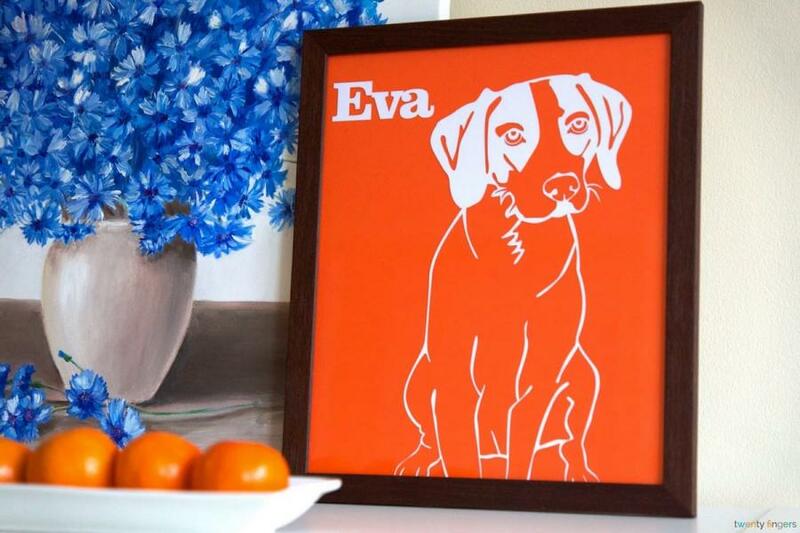 You send us a picture of your pet and we fashion it into a handcrafted piece of memorabilia that will last much longer than a mere photo. Memory Forever – It is a sad, but true fact that our animals have a much shorter lifespan than we do. Once they are gone, it can be a difficult time in our lives. 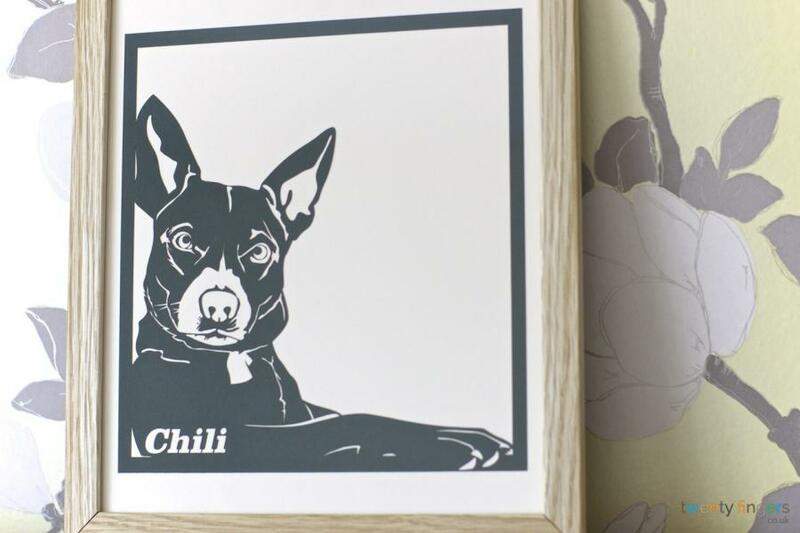 Immortalising your favourite animal within our handcrafted frame will give you a great deal of joy in remembering a pet that has passed on. 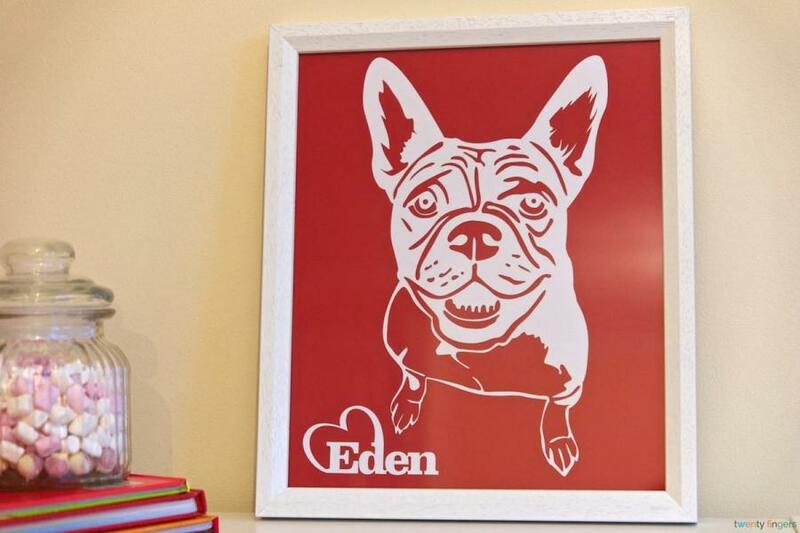 Adds to the Décor – The Pet Portrait Papercut is available in as many colour combinations. Whether your home décor is modern or more traditional you will love this gift. What is a papercut without the proper frame? We have two framing options to choose from. This one is more of a traditional wood frame. These frames are handmade and of the highest quality. The other option is our widely popular floating frame. This gives more of a modern look to your papercut. All framing options are available in both standard sizes or they can be customised to fit any size desired. We also offer a third option. For the customers who wish to choose their own frame, we offer to send you just the papercut with our frameless option. 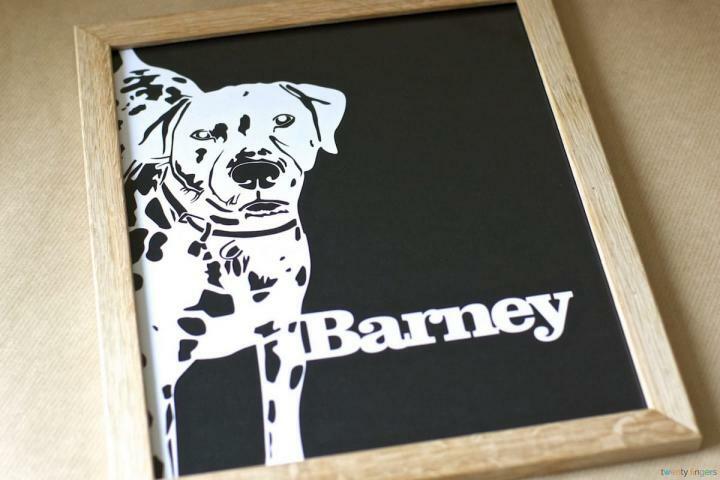 We make delivery of your Pet Portrait Papercut a snap. We offer free shipping. We ship through Royal Mail48 or myHermes tracked services. Our free shipping takes 2 to 3 business days. If you are in more of a hurry to receive your precious gift we offer next day delivery services through Royal Mail Special Delivery or UPS Next Day service. 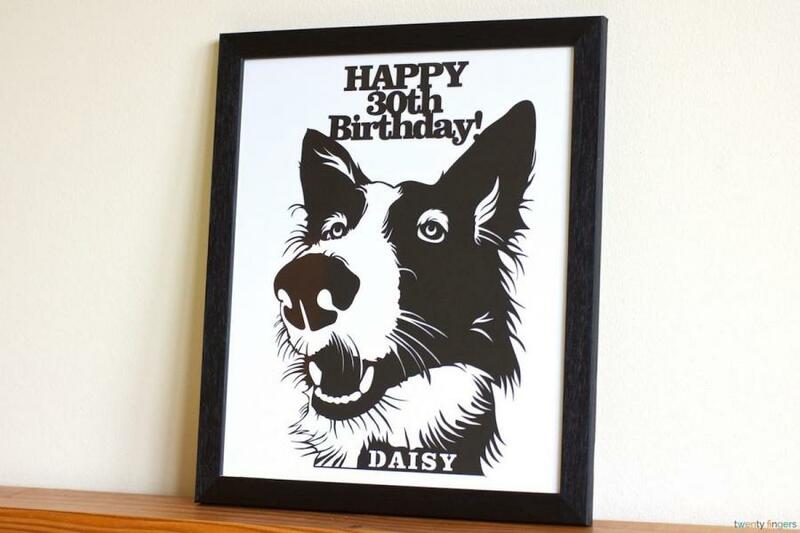 Commemorate your special animal with the pet Portrait Papercut today. 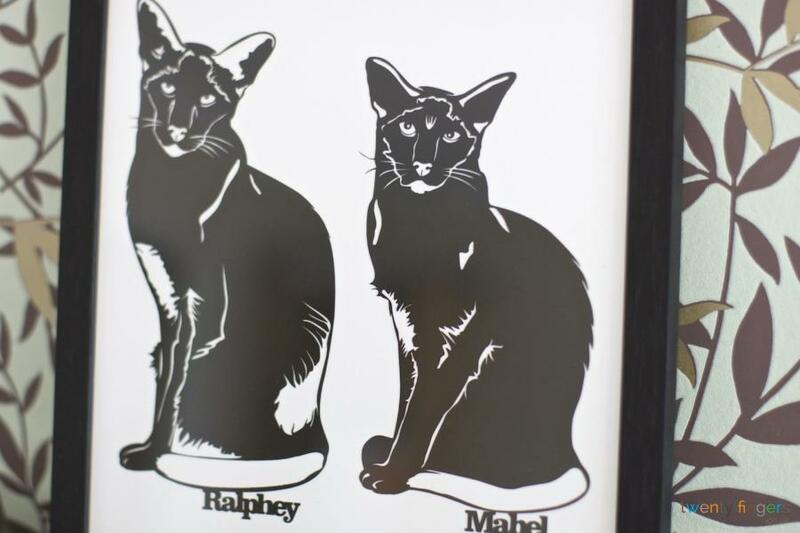 Ordered a pet cut out for Father's Day, we received a proof very quickly and then the product well within the given time-frame. My dad loved it! As did we- we are planning to get some made for ourselves. Received my teddie papercut and love it. it went down well as a Christmas gift. It has taken prime position in our house. Beautiful. Will definitely be back to buy more. Thank you. I absolutely love the paper cut i got done of my dog. Everyone comments on how great it looks. Will definately be ordering from you again. Everything was perfect. Thank you! I ordered a gift for a relative for Christmas, absolutely fantastic service and stunning piece of work! I received my teddie papercut and love it. It went down well as a Christmas gift and takes a prime place in our home. Will definitely buy again. Thank you so much.